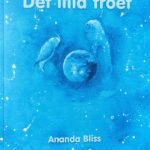 Poetry on rhyme in swedish. 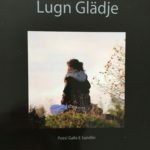 Pics from the magic nature of Öland. 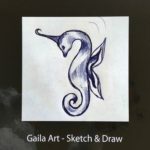 Photobook Gaila Art. My paintings during 2008 -2016. From start and development. Photobook Sketch & Draw. My drawings from first squiggles to all kinds of shapes, 2008- 2016. 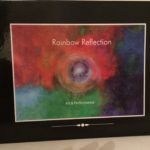 Photobook Rainbow Reflection – an art and dance project about the soul journey, while traveling through the body until unity is experienced in mind. The core of the dance runs out of natural laws over spiritual and mental development in the physical body. A documentary with pictures from the dance performance and my artistic collaboration with my daughter, dancers from Swedish Royal Dance academy and the pupils of Campus west Gyllmars gymnasium. 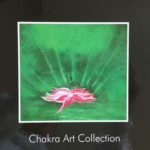 Photobook Chakra Art Collection. 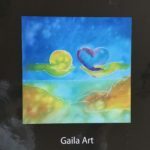 Selected pictures from my big series of chakras, with more than 200 paintings. Different expressions over energy swirls on seven levels. A journey into the bodys spiritual system, chakra, through the colors of the rainbow. Photobok Eat & Retreat. 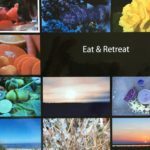 Inspiration for food and retreat by colors of the rainbow. 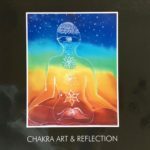 Photobook Chakra Art & Reflection. Art and poetry connected to our energy system. Expressed through the colors of the rainbow. Photobook Body & Mind. Yoga positions, meditation and visualization.